In today's time, everyone has their Android smartphone. So to capture any special moment, we shoot his video. So that these special moments are always with us. The video is created after making video editing and many people believe that for video editing we must have a computer. But it's not because many people edit their videos professionally with video editing apps. By the way, you get to edit many videos in the play store. But it does not make video editing according to our expectations. 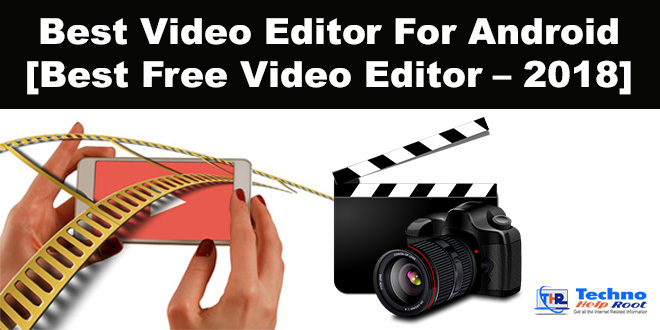 These apps will prove beneficial for you if you want professional video editing. This is a great video editing app. Which you can edit full professionally. It is also very easy to use Kinemaster because its interface has been built keeping the user in mind. In this, you can use multiple layers such as video, image, text, trimming, multi audio track etc. It's an idea of how popular it is that you can imagine that the Kinemaster app has been downloaded by more than 10 million people. Its most special thing is its feature so let's know. You get multiple layers of features like video, image, text, effect, stickers, overlays etc. You can download royalty free music, overlays, stickers, video effects. You can see the accompanying video preview. Brightness and saturation can control. Many can filter and even voice change. Blur, mosaic and many other kinds of effects can do. You get a lot of animation style in it. The speed of the video can be fast and slow according to you. You get 3D Transitions, wipes, fades and many other effects like Transition effect. You can also voice record with video editing. FilmoraGo is a powerful video editing apps. In this, you get lots of features. It's easy to edit video. In it, you can create a video by adding two videos. And also you can create photo video very easily. It's all in one video editing apps. All in one video editing apps. Import photo and video clips fastly. Awesome template and effects with a Touch. Exported ratios square 1: 1 and cinema 16: 9 available. create a reverse video that looks like a magic trick. create Multiple Fast or Slow Motions in the Same Video. create beautifully animated messages with the help of our text & titles library. PowerDirector app is also a stunning video editing apps. Because many Youtuber edit your video with the help of this app. In this, you get many advanced features that make your video editing professionally. You can make it full HD video editing. This app is also quite popular in the play store, which has 10 million downloads and if you talk about its star rate, that too is very good to see you. You can use it on the computer too. So let's know about the feature of the PowerDirector app. Photo and video quick editing. Video editing with timeline interface. Video editing powerful effect and professional tools. Easy to use and powerful new movie maker. Fx editing with video, image, and audio. Charging and adding music & audio effect. Blue & green screen place yourself in a new world. Change background easily and chroma key layer effect. Vivavideo lets you edit video of both the square and cinema. Whatever you want in it, music should just make you a tap. And easily create your favorite video. Guide talented changing instruments to trim and association connects in storyboard modifying mode. Upgrade your recordings with fun writings, textual styles, FX, stickers, music, channels, changes and live captions/naming. Effects, for instance, pivot and darkened establishment and voice speed adjustment. All alters can be right away saw in our WYSIWYG interface. Funimate is a great fun video editing apps with the help of which you can give your video a new look. In this you get an option like music video clips, lip-sync videos, slow-motion videos Add cool effects, music, text, and emoji etc. Which you can use during your video editing. Video Merger, Cut & Trim. Add Emoji, Stickers & Text to Videos. So, friends, we told you about these 5 Video Editing App, which you can use to professionally edit your video. If you are a Youtube or you prefer to edit video in mobile then these apps will be great for you. You can also comment in our comment box Thank you.